Silver buttonwood has velvety-soft leaves dusted with silvery-gray color and makes a stunning hedge, accent or small tree. Like all silver foliage plants, this shrub's unusual color contrasts beautifully with all the green in a landscape. It can look almost white in a landscape or take on a bluish cast. These plants are especially effective when planted in combination with red, pink, purple, blue and white flowering plants. They can function as clipped hedge shrubs or left to grow in a more natural shape. There is a green variety but the silver is much showier and therefore more popular with homeowners. Because the plant grows in a vase shape - wider at the top - and basically wants to be a tree, it's often somewhat bare at the bottom. You can encourage this and use the plant as a multi-trunk tree. Or if you prefer the look of a single trunk tree, buy one from the nursery already trained that way. You can keep a silver buttonwood tree - or shrub - closely clipped for a neatly manicured appearance. In an informal landscape, just trim wayward branches occasionally - and lower branches as the tree matures to allow foot traffic to pass beneath. When a buttonwood tree is planted near the coast, it can develop a unique and picturesque form from the constant sea breeze. These are salt-tolerant Florida native plants. They're drought-tolerant once established but will also put up with "wet feet" occasionally. though green buttonwood is a better choice for areas that tend to stay moist. These plants are moderate to fast growers that prefer full to part sun. They'll grow in part shade, too, but won't be as full or as colorful. You can trim to about 5 feet or let buttonwood grow to 10 feet for a hedge. As a small tree, expect a mature size of 20 feet unless you trim it smaller. Silver buttonwoods do best in Zone 10. They can't take the cold winter temps of Zone 9 and frost will do some serious damage. Since this plant is salt tolerant it's perfectly suited for coastal landscapes. Add top soil or organic peat moss, mixed with composted cow manure to the hole when you plant. Trim to shape as needed, but avoid doing a hard pruning of more than 1/3 of the plant. Any hard pruning should be done in spring - late March or early April. Water on a regular basis. Though this shrub is drought-tolerant once it's established, regular irrigation will keep it lush and full. If nothing else, at least give it a good drink during dry spells. Fertilize 3 times a year - in spring summer, and autumn - with a high-quality granular fertilizer. Place these shrubs 3 or 4 feet apart. Come out from the house 3 to 4 feet or more - at least enough to clear gutters and eaves when the plant reaches a mature height. Along a walk or drive, come in at least 3 feet. Buttonwood will grow in a large container but at some point it'll outgrow the pot and need to be planted in the ground. 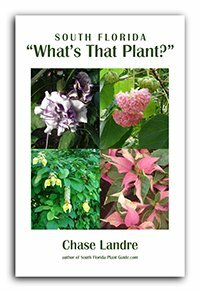 COMPANION PLANT SUGGESTIONS: Loropetalum, Nora Grant ixora, hibiscus, plumbago, dwarf oleander, yesterday today and tomorrow, downy jasmine, and ruella.